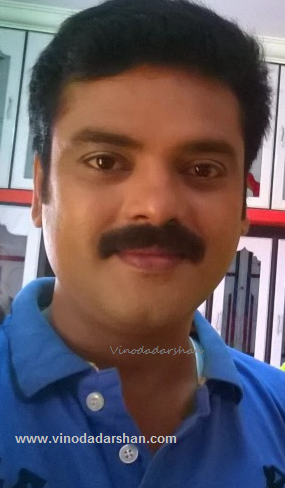 Subramanian Gopalakrishnan - also refered as Subramani or Srikumar, is an Indian Film and TV actor working mostly in Malayalam and Tamil Television Serials. He is now famous among Malayali's as Arjun, the central character of Asianet TV's top rated malayalam tele drama Chandana Mazha. Subramanian used screen name Srikumar during his debut into Tamil movie as the hero of Aavani Thingal (2006) directed by Hari Krisha. Rajaram Reddy was the producer and R Sankar was the music director of the movie. In that movie, he played the role of Rassappan, an orphan. The other actors include new comers Madhusa, Tejini etc . He has also acted in Kadhal Mudichu (2013). He was working as an assistant director of that movie and unexpectedly he got this opportunity to act in Avani Thingal. That movie was not a success at the box office. Subramanian is from Tamil Nadu. His family consists of his parents and elder sister. Subraminan is married to Sowmya. They have a daughter named Kiryashini(Krithu). His father Chandrasekhar was a businessman.